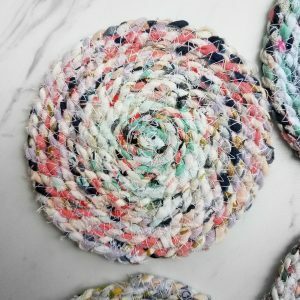 The Domesticated Engineer creates textile products while considering the full life cycle of our fabric from start to finish. 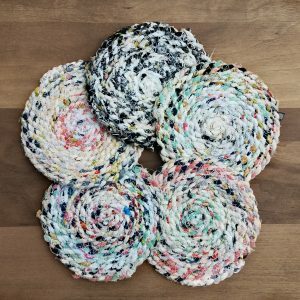 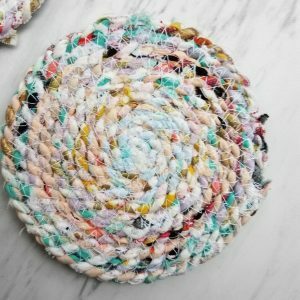 In making use of the entire bolt, our rag rug coasters are hand spun from the tiniest of scraps that would otherwise be thrown away. 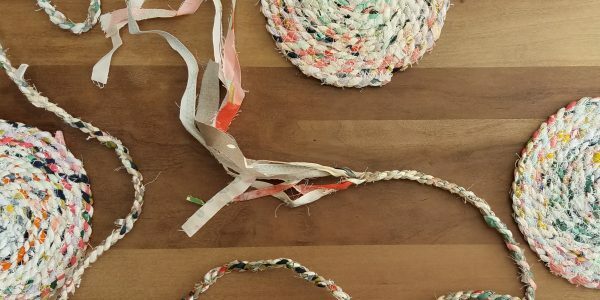 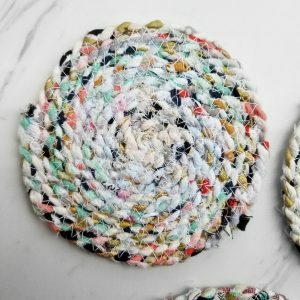 The fabric twine is then used to create one of a kind coasters for your home. 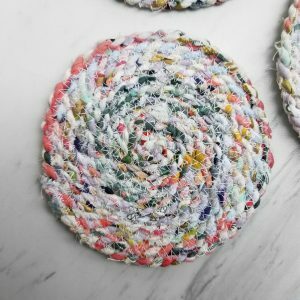 They are inspired by heirloom rag rugs which graced the industrious and mindful homes of our ancestors who wasted nothing. 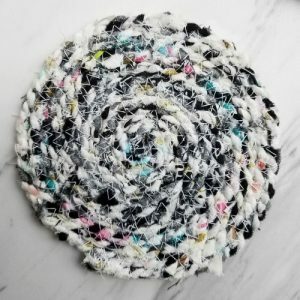 Looking closely the items reveals bits and pieces of all our colorful prints.